Alternate High returns to Intense Emotions with another huge uplifter to tantalise the earbuds. Silent Alteration signals its intent from early in the track as the lush chord sequences and plucked melodies combine to perfection. As the build grows all eyes are on the breakdown which opens up into a feast of sonic beauty. It's easy to hear why this was such a perfect match for Para X's label as this is a sound that he champions with unrelenting passion. Uplifting trance should make you feel amazing and this tune does that a million times over. 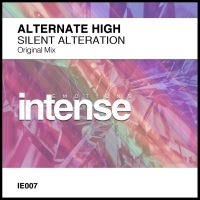 Pure trance perfection from Alternate High!! 'Silent Alteration' is available now from Beatport and iTunes.